Since my last two blog posts were about Yosemite, I want to reorient back to the California Northstate (we few at the northern end of the state distinguish ourselves from the common conception of Northern California by referring to our area as the Northstate). This led me to consider the link between Yosemite and Mount Shasta. Folks would be forgiven for thinking that no such connection existed. If any area in the Northstate is likened to Yosemite or the rest of the Sierra Nevada, it is usually the granite towers of the Trinity Alps or, less frequently, the Castle Crags. Mount Shasta, being a great volcano of the Cascades, seems a range apart from the Sierra, the great 400 mile long spine of the Golden State. There is, however, a very important link between the greatest mountain in California with the state’s greatest mountain range. More precisely, it is a link specifically between Mount Shasta and Yosemite. It is not a connection of geography or geology, but rather a bond formed through human activity. The two great regions of California were both very dear to the great explorer and conservationist John Muir. The flowery bee lands of Mount Shasta. Without doubt, the most famous event John Muir recounted about the time he spent around Mount Shasta was the snow storm he encountered while on the summit of the mountain. He was part of a party that had summited the mountain and returned to their base camp (presumably somewhere around Horse Camp). The following day Muir and a guide returned to the summit to take more barometric measurements. While on top of Mount Shasta a violent storm moved in and pounded the two men with snow for 17 hours. They were able to survive the night by huddling alongside a sulphur spring that had a compliment of small fumaroles. The heat from these volcanic features was able to keep the two men warm enough to outlast the storm. When they descended the mountain, their clothes were completely frozen. 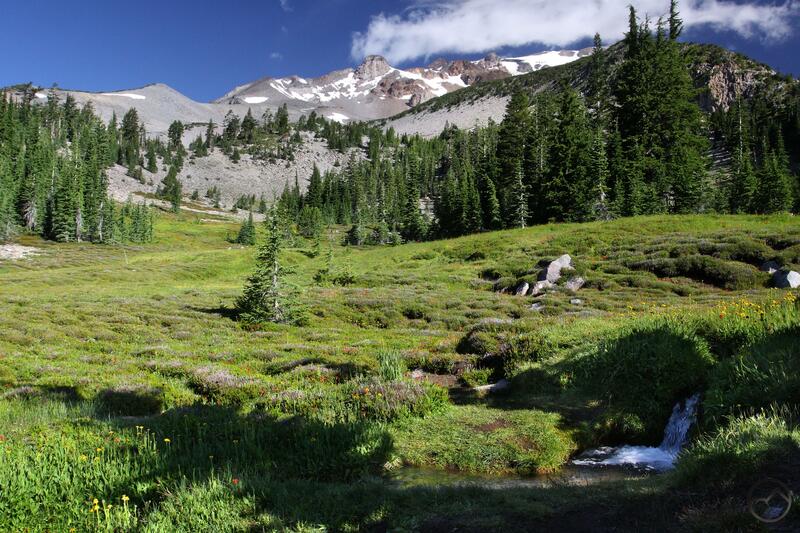 Fountains and forests on wild Mount Shasta. John Muir’s vision of a Mount Shasta National Park never came to fruition and many trees in the region and even on the slopes of the mountain itself fell to the logger’s axe. 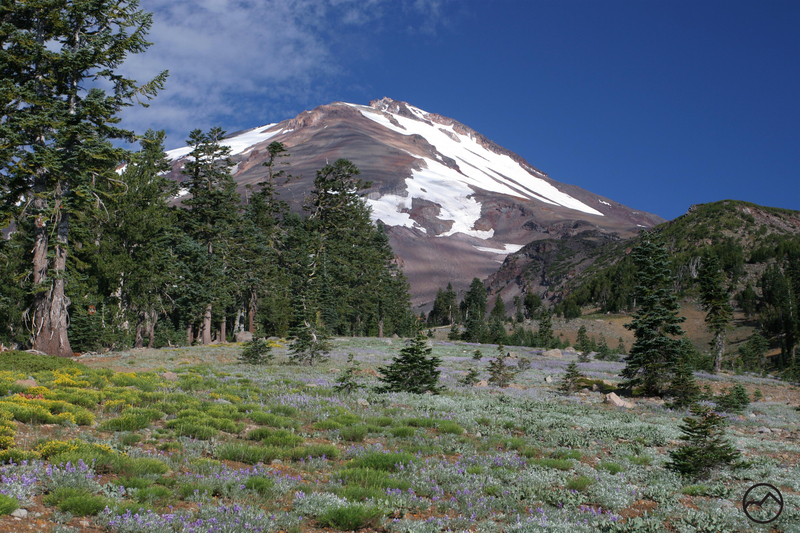 Nonetheless, at least an aspect of his dream was realized with the creation of the Mount Shasta Wilderness. The upper portions of the mountain are contained within the wilderness area, which was established by the 1984 California Wilderness Act. It currently encompasses 38,200 acres. Indeed, John Muir loved Mount Shasta. 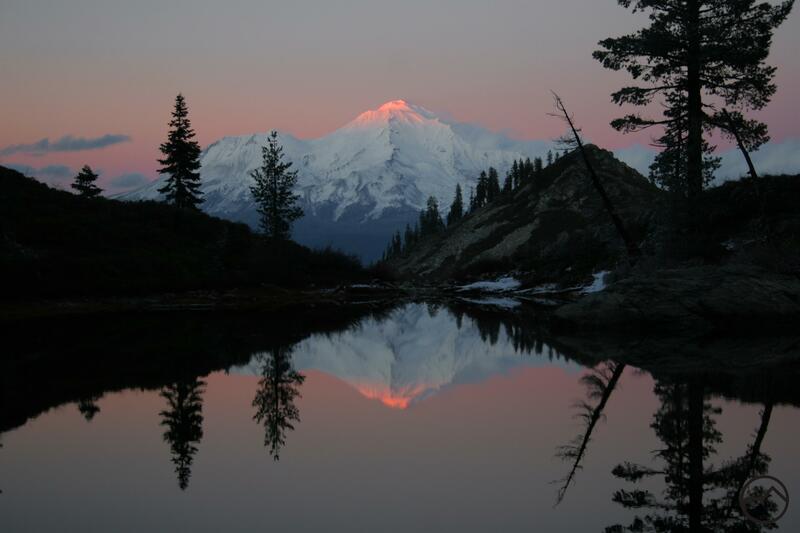 His home may have been the Sierra Nevada and his first love was Yosemite, but Mount Shasta laid claim to a significant portion of Muir’s heart. His numerous trips the region, his ascents of the mountain and his extensive exploration of the surrounding ranges are all testimony to the great conservationist’s devotion to California’s mightiest mountain. This is all well documented in his copious writings, some of which are available here, here, here, here, here, and here. Beautiful shots! I especially love the twilight picture. Very Nice article. I appreciate all the Muir quotes and links. Truly stunning shots! I’ve gotta get up there! Thanks much. With scenery like this though, it is not hard to get good shots. I hope you do come up. Give me a holler if you are able to!